The Barbaresco zone, highlighted in a reddish/pinkish tone, is north of Alba. 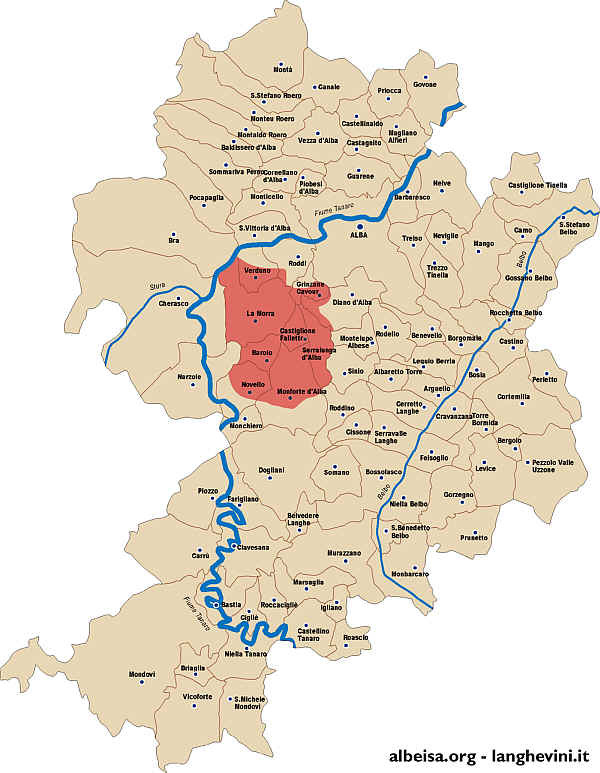 The region comprises Barbaresco, Neive, Treiso and part of San Rocco Seno d'Elvio. 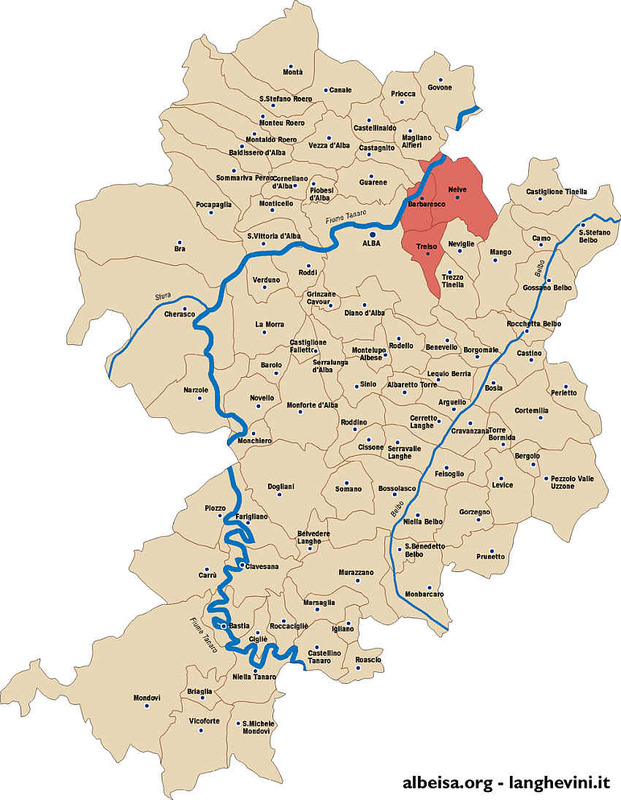 The Barolo appellation or denominazione covers the whole municipal territory of Barolo, Castiglione Falletto and Serralunga d'Alba and part of La Morra, Novello, Monforte d'Alba, Verduno, Grinzane Cavour, Diano d'Alba, Roddi and Cherasco.